ARE YOU SURE YOU DON’T WANT TO WIN MONEY? Why wait any longer to win?!!! Call 724-715-7186 or Click the link below… start to win! Those who are employing the “Money Management System” as found on JoeGavazziSports.com have used the “Multiplier Effect” of that method to more than triple their bankroll and bet size. THIS SHOULD BE YOU! Remember when I advised you to read and follow my “Money Management System” at JoeGavazziSports.com ? It is most important for the CBKB wagering season. Those of you who have followed this advice have employed the MULTIPLIER EFFECT! BY NOW YOU HAVE TRIPLED YOUR BANKROLL AND WAGER ON EACH GAME. We have never even contemplated pulling down profits with our “Triple Stack Method”. Over 60% winners on over 300 games is an incredible feat. Our next goal, I believe easily attainable, is over 60% winners after 500 games. If you are not using the tenets in my “Money Management System”, please review it at JoeGavazziSports.com and BEGIN TO DO SO IMMEDIATELY. (P)atience, (D)iscipline, (S)elf-control. Without them you will look (P)retty (D)amn (S)illy. How important is it to you to be a Winner? It is estimated that over 95% of sports gamblers are losers in the course of their lifetime.That number is definitely low! And you are one of them! It is impossible to win the way you are doing it! Making ego driven plays after watching previous games, getting “free picks” from the Internet by dart throwers, then chasing your inevitable losing streaks.I have seen it all in the last 40 years. When you choose to commit to winning you must adhereto the patience and discipline of a proven Money Management system. Only then, can you make the choice to commit 60 to 80 hours / week and a lifetime of experiences to make all the choices necessary to constantly cash winning tickets.Or… you can take advantage of the winning information on this site that has resulted in more net winners than any other sports service since 1979. As always the choice is yours. What you pay for my winning selections is minimal when compared to the difference between what you will lose with your own bets and what you will win with mine. Think about that before making your next bet. “MONEY MANAGEMENT” – This is your Bible. You will be a consistent winner ONLY IF you follow its tenets. “ARTICLES” – Read them each week to understand what it takes to build a winning sports handicapping methodology. “POINTSPREAD PROGNOSIS” – This is the BEST THING YOU WILL READ ALL WEEK. Winners, information, entertainment. 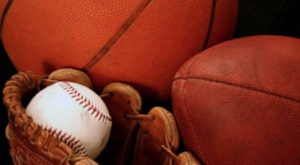 The Best Bang for your Buck in the sports service industry. All transactions ON THIS SITE processed thru PayPal.